Note:	The exact locations of the individual LEDs are unidentified. Controls DTR reset, DTR dialing, reset dialing, and MNP3. Non-error-correcting mode transmit buffer set to 1.5KB. Non-error-correcting mode transmit buffer set to 128 bytes. Backspace and delete keys normal. Backspace and delete keys reversed. Modem enters command state when +++ is received. Modem disconnects and enters command state when +++ is received. Controls error correction and compression in selected protocols, MNP modes, and V.42 operation. Error correction/compression enabled in V.22 mode. Error correction/compression disabled in V.22 mode. Error correction/compression enabled in V.22bis mode. Error correction/compression disabled in V.22bis mode. Error correction/compression enabled in V.32 and V.32bis modes. Error correction/compression disabled in V.32 and V.32bis modes. MNP configured for non-compatible modems. Controls V.21/Bell 103A, V.32 encoding and modulation, V.32bis modulation, V.42 answer tone and selective reject, and 9600 result codes. Controls V.8 protocol and options, and V.34 and V.FC modulation protocols. V.34 modulation at 31.2Kbps and 33.6Kbps enabled. V.34 modulation at 31.2Kbps and 33.6Kbps disabled. Sets the length of error correction mode breaks sent from DCE to DTE. Break empties buffer and is sent immediately. Break does not empty buffer and is sent immediately. Selects the type of data compression that will be used. MNP5 data compression only enabled. Sets slowest allowed connection speed if &N is set to 1 or higher. Set minimum connect speed to 300bps. Set minimum connect speed to 1200bps. Set minimum connect speed to 2400bps. Set minimum connect speed to 4800bps. Set minimum connect speed to 7200bps. Set minimum connect speed to 9600bps. Set minimum connect speed to 12Kbps. Set minimum connect speed to 14.4Kbps. Set minimum connect speed to 16.8Kbps. Set minimum connect speed to 19.2Kbps. Set minimum connect speed to 21.6Kbps. Set minimum connect speed to 24Kbps. Set minimum connect speed to 26.4Kbps. Set minimum connect speed to 28.8Kbps. Set minimum connect speed to 31.2Kbps. Set minimum connect speed to 33.6Kbps. Set minimum connect speed to 32Kbps. Set minimum connect speed to 36Kbps. Set minimum connect speed to 40Kbps. Set minimum connect speed to 44Kbps. Set minimum connect speed to 48Kbps. Set minimum connect speed to 49.3Kbps. Set minimum connect speed to 50.6Kbps. Set minimum connect speed to 52Kbps. Set minimum connect speed to 53.3Kbps. Set minimum connect speed to 54.6Kbps. Set minimum connect speed to 56Kbps. Set minimum connect speed to 57.3Kbps. Set minimum connect speed to 58.6Kbps. Set minimum connect speed to 60Kbps. Set minimum connect speed to 61.3Kbps. Sets required connection speed if &U is set to 0; otherwise, sets fastest allowed connection speed. Set maximum connect speed to 300bps. Set maximum connect speed to 1200bps. Set maximum connect speed to 2400bps. Set maximum connect speed to 4800bps. Set maximum connect speed to 7200bps. Set maximum connect speed to 9600bps. Set maximum connect speed to 12Kbps. Set maximum connect speed to 14.4Kbps. Set maximum connect speed to 16.8Kbps. Set maximum connect speed to 19.2Kbps. Set maximum connect speed to 21.6Kbps. Set maximum connect speed to 24Kbps. Set maximum connect speed to 26.4Kbps. Set maximum connect speed to 28.8Kbps. Set maximum connect speed to 31.2Kbps. Set maximum connect speed to 33.6Kbps. Set maximum connect speed to 32Kbps. Set maximum connect speed to 36Kbps. Set maximum connect speed to 40Kbps. Set maximum connect speed to 44Kbps. Set maximum connect speed to 48Kbps. Set maximum connect speed to 49.3Kbps. Set maximum connect speed to 50.6Kbps. Set maximum connect speed to 52Kbps. Set maximum connect speed to 53.3Kbps. Set maximum connect speed to 54.6Kbps. Set maximum connect speed to 56Kbps. Set maximum connect speed to 57.3Kbps. Set maximum connect speed to 58.6Kbps. Set maximum connect speed to 60Kbps. Set maximum connect speed to 61.3Kbps. Dialing paused for 1/8 second. Displays the help screen on the AT& commands. Displays the basic help screen. Displays the help screen on the dialing commands. Displays the help screen for S registers. Tests and displays RAM checksum result. Displays virtual device driver configuration. Displays current connection�s statistics for V.34 mode. Selects active error correction protocols. Error correction result codes enabled. Error correction and compression result codes enabled. Resets the modem to the indicated factory defaults. Reset modem to factory generic profile. Reset modem to factory hardware flow control profile. Reset modem to factory software flow control profile. Sets the character used to represent XOFF. Sets the character used to represent XON. Selects the type of modem-to-modem flow control used. CTS/RTS and XON/XOFF flow control enabled. Maximum duration of DTE and DCE inactivity allowed prior to initiating hang-up process. Serial speed locked in error correction mode only. Selects which mode the modem will operate in. Modem will operate in data mode. Modem will operate in fax class 1 mode. Modem will operate in fax class 2 mode. Modem will operate in voice mode. 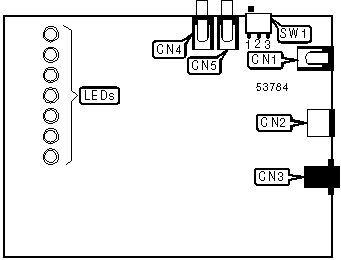 Selects the profile that the modem will reset to on power-up. Modem resets to user profile 0 on power-up. Modem resets to user profile 1 on power-up. Modem resets to factory generic profile on power-up. Modem resets to factory hardware flow control profile on power-up. Modem resets to factory software flow control profile on power-up. Repeats the previous command up to ten times. Do not precede this command with AT, or follow it with <CR>. Resets the modem to the profile indicated. Modem resets to user profile specified by the Y command. Modem resets to user profile 0. Modem resets to user profile 1. Modem resets to factory generic profile. Modem resets to factory hardware flow control profile. Modem resets to factory software flow control profile. Enables modem to send result codes to the DTE. Result codes enabled in originate mode only. Result codes enabled in answer mode only. Sets the volume level for speakerphone operation. Sets the volume level for the microphone during speakerphone operation. Sets the volume level for the speaker during speakerphone operation. Begins a tone dialing test. The function of this register is unidentified. Sets the length of the V.32 handshake phase. Setting S28 to a value of 255 means that the modem will only attempt to make connections with V.32 at 9600bps. Controls V.34 mapping, non-linear coding, transmit level deviation, pre-emphasis, and pre-coding. Controls V.34 baud rate and shaping. Speakerphone used for voice I/O.